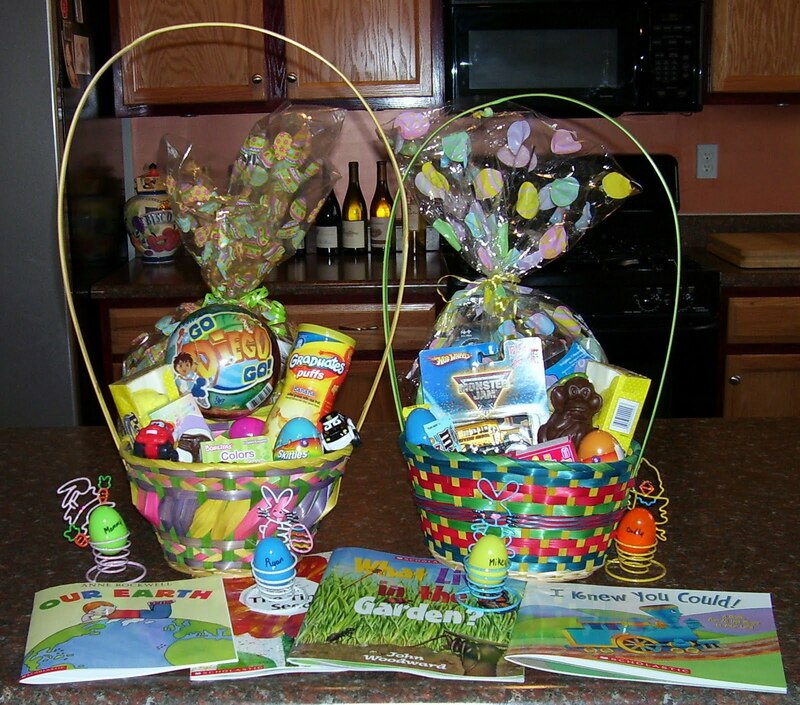 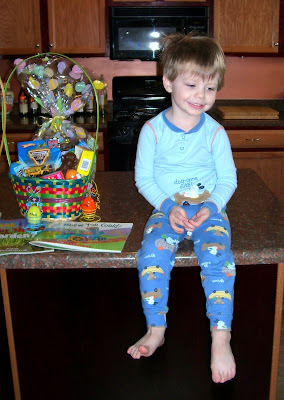 The Easter Bunny came to our house! 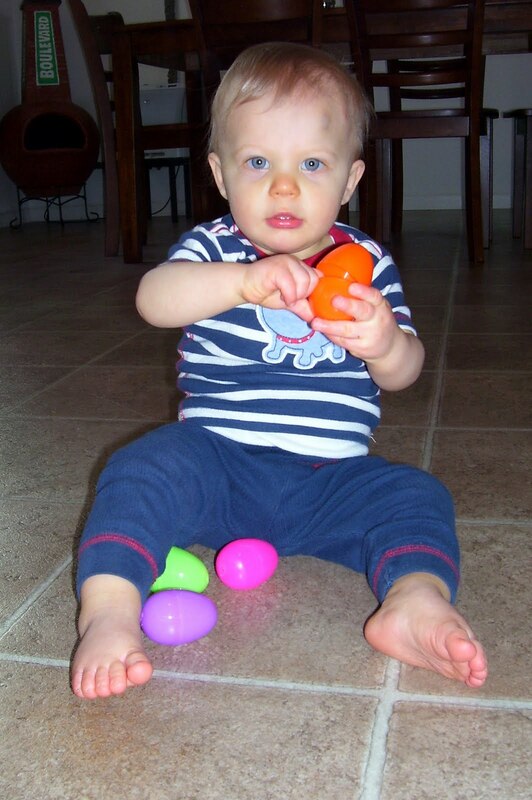 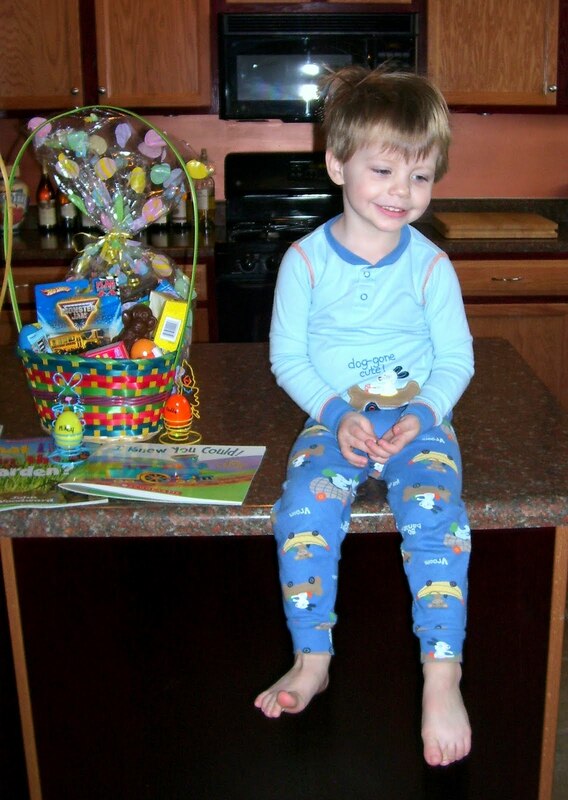 Mikey can almost reach the candy filled plastic eggs! 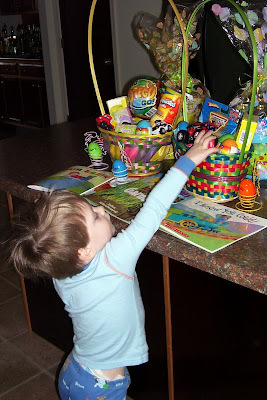 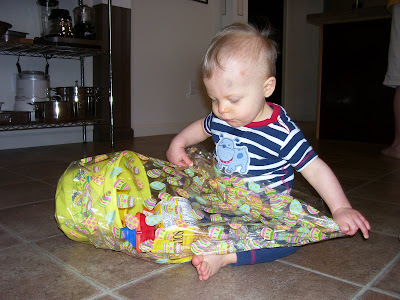 Ryan attacking, I'm mean opening, his Easter basket bag from Toni. Mikey was really excited about his Zhu Zhu pet hamster. 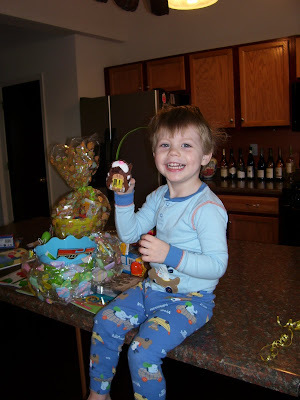 Ryan loved shaking the eggs, to hear what was inside!